All these years I’ve been sneezing and coughing wrong, and nobody felt like stepping up and telling me? Thanks guys! From what I hear in the news, people have been wrongly covering up their coughs and sneezes for years, maybe even eons, and if it wasn’t for scientists who study this sort of thing, we’d all have died centuries ago. Let me say that again so it will really hit home: Hundreds of sneezing and coughing New Zealanders, maybe even millions, were secretly watched by medical students who were so intent on gathering “good science,” that they failed to offer a hanky or a “God bless you” to those poor suffering souls. Now, aren’t you glad you live in America, land of the brave and home of the free drug samples? To continue, three out of four people who were spied upon as they sneezed or coughed, at least tried to cover their “airborne explosion,” but did so with their hands, which is a big no-no when it comes to being healthy, wealthy and wise. “When you cough into your hands, you cover your hand in virus," said study author Nick Wilson, an associate professor of public health at the Otago University campus in Wellington. "Then you touch doorknobs, furniture and other things. And other people touch those and get viruses that way," he explained. I hope you don’t mind, but I lifted that quote right out of the article. I thought it succinctly told the story of the migration of viruses from lungs to hands to doorknobs to a stranger’s hand, maybe even yours, and that’s why you should always wear gloves, even in the summer, or just use your feet to open up doors or cans of tuna. 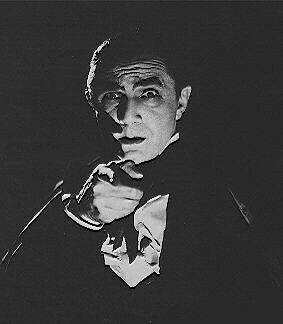 According to health officials, we should all sneeze or cough into our elbows, which make us look like Count Dracula covering up his face. Unfortunately, only 1 in 77 does that, which is surprising since Vampires and Werewolves are very popular these days. By the way, I would never do the Count Dracula move unless I was wearing a cape, but that’s just me. Can you imagine sitting in the mall, watching people pass by, and every now and then seeing some guy in shorts, or a woman in a business suit, doing the Count Dracula move, and then carrying on like nothing had happened? I for one would pay money to see a time-lapsed movie of just such a thing; narration by Chevy Chase or Steve Martin; John Williams’ music playing in the background. Shoot, I’d even buy the DVD or Blue-ray version of it. Oh, and one last thing. In 2007, Harris Interactive did a study to see how many people washed their hands after using the bathroom. Their findings suggest that one in four people don’t wash their hands, and that men are the worst about it. Nothing new there. I thought I’d just throw it in. OLD SAYING: A smart man washes his hands after peeing. A smarter man doesn’t pee on his hands in the first place. To conclude, I have given up hand shaking. Don’t even offer yours. I will look at it with disdain, knowing full well that you’ve just sneezed in it and didn’t wash up after you’ve used the bathroom. I might hug you, kiss you on the cheek, punch you in the shoulder, do the bump with you, bow at you, or run around in circles proclaiming it’s so good to see you again, but I will not shake your hand. Please don’t take it personally. Of course, if you were to talk to my wife, she’d say I was the pot calling the kettle black, but since I’m colorblind, I have no idea what that means.